Along the Way, A Spiritual Journey by Ida Mae Kempel is one woman’s story of survival in a less than perfect world. Ida Mae Kempel writes about growing up in North Dakota, moving to California, and dealing with the many issues she had to face—a traumatic childhood, a husband’s addictions, and their daughter’s murder, to name a few. Ultimately it is the story of faith in God, how His mercy and grace enabled the author to move forward in life and to deal with difficult circumstances. 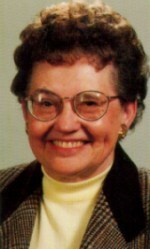 Ida Mae Kempel is currently living in Alameda, California. She is writing, traveling and spending time with her children and grandchildren.